This Is Why We Podcast! 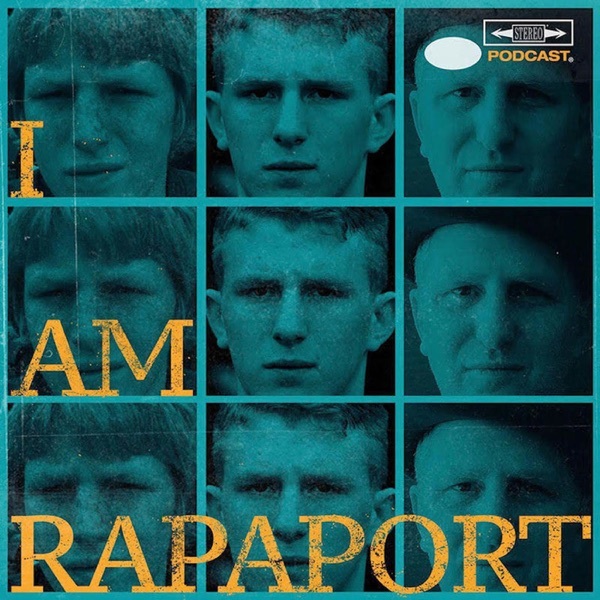 Michael Rapaport aka The Gringo Mandingo aka Scoop Rapaport aka Bird aka White Mike opens up SOLO off the top to discuss: The Toronto Raptors being Real, The Knicks cutting Ron Baker and signing Allonzo Trier, Rookies needing to earn their spots, Derek Fisher Being on Suckashit, Kanye West Having Another Twitter Meltdown, The Late Late Show Ra-Pa-Pa-Port Song, Starting Justin Jackson over Aaron Jones in Fantasy Football Semi-Finals, Tasmania banning he/she lingo, Melania Trump not grasping the English language, Kevin Hart not Hosting The Oscars, YouTube pulling down 58 Million Offensive Videos, Sick F*cks of the Week & more. Then it’s an honor & a privilege to to have NBA & NCAA Champion Shooting Guard Danny Green (Toronto Raptors/University of North Carolina) & Host of Inside The Green Room Podcast with Michael Rapaport on the I AM RAPAPORT: STEREO PODCAST to discuss: Strong Island being in the house, Needing A Pre-Game Nappy Poo, Getting out of San Antonio in the nick of time, Michael Seeing Kawhi Leonard for the first time in person, The New Balance & Puma Resurgence, Duke & UNC Basketball this Year, The strengths & needs of the Raptors, Pascal Siakam, Kyle Lowry, Drake, Dwayne Wade, LeBron, Giannis, Ben Simmons His Podcast “Inside The Green Room with Danny Green”, Coach Nick Nurse, Top 5 Dream Guests, J.R. Smith’s Situation, Carmelo Anthony, DeMarcus Cousins, NBA becoming a Shooter’s League, Heading to Toronto & a whole lotta mo’! © Podbay 2012 | terms privacy contact Podbay.fm neither hosts nor alters podcast files. All content © its respective owners.